Ever since video-counseling came into being I have urged therapists to add it to their book of business. I have also urged them to get training and become certified online counselors. Now experts are acknowledging what we already (intuitively) new - online is different than in person. A December 2017 Wired article urged physicians to develop a webside manner - a modern take on the old fashioned bedside manner. The article explains: "...getting there isn’t always easy... 'It's all the little things,' says experimental psychologist Elizabeth Krupinski, associate director of evaluation for the telemedicine program at the University of Arizona. 'I mean, there's the technology bit, obviously. Webcam resolution, internet connection, and so on. And you have to think about your backdrop, your lighting, what you're wearing as well. 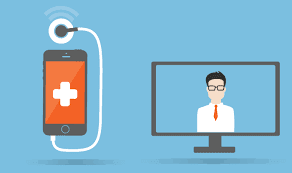 But what you've really got to monitor is your behavior.” U of A is one of the first schools in the country to incorporate telemedicine instruction into its medical school curricula. Telemedicine students are often instructed to disable their video chat's picture-in-picture feature. 'Turn it off and look at the patient,' Krupinski says. That's also kind of tricky: To appear as though they're making eye contact, clinicians are taught to look not at the patient on their screen, but directly into their device's webcam." The article notes that in the United States physicians are no longer required to see a person in person before seeing them virtually. 100% with you. This is the future and time to get on board.